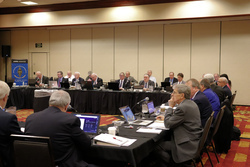 A demanding agenda faced the ARRL Board of Directors when it convened for its annual meeting on January 18 - 19 in Windsor, Connecticut. President Rick Roderick, K5UR, chaired the session. 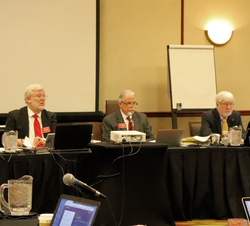 Several new faces were around the table, with four newly elected ARRL Directors, one newly elected Vice Director, and one recently appointed Vice Director. Attending for their first meeting as Board members were Hudson Division Director Ria Jairam, N2RJ; New England Division Director Fred Hopengarten, K1VR; Northwestern Division Director Mike Ritz, W7VO, and Roanoke Division Director George "Bud" Hippisley, W2RU. 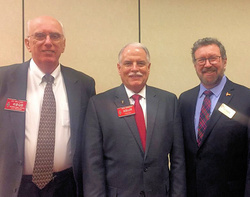 Also present were Northwestern Division Vice Director Mark Tharp, KB7HDX, and Rocky Mountain Division Vice Director Robert Wareham, N0ESQ, who was appointed last fall to fill a vacancy. On a voice vote, the Board authorized $485,000 to fund a project to be carried out by Connecticut media and advertising consultants Mintz & Hoke, to develop lifelong learning strategies and programs aimed at attracting and retaining ARRL members, especially newly licensed radio amateurs. "Our focus is on expanding the reach of ARRL by providing instructional materials to Amateur Radio operators who have a wide range of interests and experience levels," ARRL Lifelong Learning Manager Kris Bickell, K1BIC, remarked this week. The program will offer a modern, user-friendly educational environment with various learning paths, such as getting on the air, public service, technological experimentation, and advanced operating and technical tips, Bickell said. The Board also established an EmComm Manager Requirements Committee, charged with setting the requirements for ARRL's Emergency Preparedness and Response Manager function. The Board created a permanent Amateur Radio on the International Space Station (ARISS) Committee "to develop an interactive relationship" with ARISS, which sponsors voice contacts between ISS crew members and school groups and gatherings on Earth, "bringing together STEM program objectives and local Amateur Radio groups." The Board motion said ARISS "has demonstrated very positive public relations benefits to the ARRL, and that it's ARRL's best interests to support ARISS." As already announced, the Board withdrew, without prejudice to refiling, ARRL's December 18, 2018, Petition for Rule Making to the FCC, which sought to amend the Part 97 Amateur Service rules to incorporate the provisions of the Amateur Radio Parity Act (ARPA). The Board said that ARRL needs to "review, re-examine, and reappraise ARRL's regulatory and legislative policy with regard to private land use restrictions." received the report of ARRL Treasurer Rick Niswander, K7GM, on ARRL's investments for 2018. He said ARRL's portfolio recorded a small loss for the year, "consistent with market-derived expectations." heard from Chief Financial Officer Diane Middleton, W2DLM, who reported that "a financially strong balance sheet generated a larger-than-expected gain from operations for 2018." Cash flow also continued to be favorable. received the report of EMC Committee chair Kermit Carlson, W9XA, who told the Board his panel is working to raise awareness of a variety of issues stemming from major technological advances, such as wireless power transfer systems for charging electric vehicles. Carlson said that while new systems need spectrum, protection of other bands for other services is necessary. He invited the Board's vigilance in alerting the EMC Committee to potential concerns. affirmed its support of the National Traffic System and all amateurs involved in traffic handling, and their role as partners to ARES in ARRL's public service tool kit. considered recommendations of the Administration and Finance Committee and adopted the ARRL 2019 - 2020 Plan. elevated past New England Division Director Tom Frenaye, K1KI, to Director Emeritus, commending him for his more than 30 years of service to Amateur Radio "as a leader in his community, ARRL Division, and nationwide." Since 1975, Frenaye has served as an ARRL employee, Director, and Vice President, and as President of the ARRL Foundation. elevated retiring West Gulf Director Dr. David Woolweaver, K5RAV, to ARRL Honorary Vice President, in recognition of "providing outstanding leadership" throughout his 19 continuous years as a Vice Director and Director. In the wake of the more-than-month-long partial government shutdown, the FCC has set about tackling a backlog of applications already in the queue. At first, it sought to hold back the flood as it dug out, asking that Volunteer Examiner Coordinators (VECs) give the agency a little breathing room before submitting any additional new files. On Monday, services using the FCC electronic batch filing (EBF) system -- including commercial and amateur -- received an automated message from the FCC updating users on the situation. "Due to the recent government shutdown, applications submitted through the Electronic Batch Filing (EBF) system between the dates of January 3 through January 29 will begin processing over the next several weeks [emphasis added]," the FCC said. "Please, be patient as we are expeditiously working through the backlog of filings." Expeditious it was, taking not weeks but days. "The FCC worked through its backlog very quickly, and started processing our files about noon today," Assistant ARRL VEC Manager Amanda Grimaldi, N1NHL, said on Wednesday. "We're slowly submitting the files we have in queue -- we don't want to bombard them! Assuming there are no hiccups, everyone should see their applications processed by the close of business on Thursday." "In addition, all Universal Licensing System (ULS) filings that were held during the lapse in funding through January 25, as well as any other ULS filings that were held from January 26 through January 29, will be considered received on January 29," the FCC said. The large volume of filings submitted during the partial government shutdown will be entered into ULS in batches and assigned a January 29 receipt date, the FCC said. That includes Amateur Radio vanity call sign applications filed via ULS or by mail between January 3 and January 29, which will be treated as filed on January 29. The FCC said changes in receipt dates were made "in order to accommodate the orderly resumption of business." During its annual meeting on January 18 - 19, the ARRL Board of Directors named the recipients of two ARRL Bill Leonard, W2SKE, Professional Media Awards. Recipients were recommended for the award by the ARRL Public Relations Committee, with the concurrence of the Programs and Services Committee. Tom Knapp of lancasteroneline.com and the LNP Media Group Inc. of Lancaster, Pennsylvania, was named as the 2018 Bill Leonard, W2SKE, Professional Media Award for Print Reporting recipient. 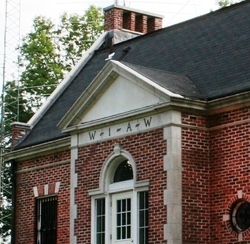 The Board said Knapp "went above and beyond to capture the workings of Field Day at W3RRR, the Red Rose Repeater Association." The Board named Andrew Schmertz and New Jersey Television (NJTV) as recipients of the 2018 Bill Leonard, W2SKE, Professional Media Award for Video Reporting. The Board cited Schmertz and NJTV for "outstanding coverage" of the February 23 - 24, 2018, HamSCI conference at New Jersey Institute of Technology (NJIT). NJIT Assistant Research Professor Nathaniel Frissell, W2NAF, the cofounder of HamSCI and instrumental in organizing the Solar Eclipse QSO Party (SEQP) in 2017, spearheaded the conference to discuss his eclipse research. NJTV, which is New Jersey's public television network, covered the conference. Schmertz interviewed Frissell, numerous faculty members, attendees, and members of NJIT's Amateur Radio station, K2MFF, "all with an eye to explain clearly to the public the significance of measuring the effects of solar activity on communications," the Board said. The FCC now officially has its full complement of five members. 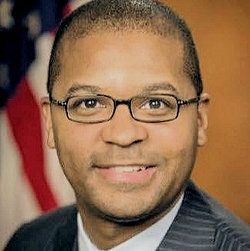 Democrat Geoffrey Starks, who succeeded Mignon Clyburn on the Commission, was sworn in January 30. He formerly served as assistant bureau chief in the FCC Enforcement Bureau. "I am deeply honored to serve as a Commissioner of the Federal Communications Commission, and I thank the President and the United States Senate for this exceptional privilege." Starks said in a statement. "As the last few weeks have affirmed, being a public servant is a calling to serve a mission bigger than yourself. Throughout my career, I have focused on protecting the most vulnerable and holding wrongdoers accountable. In my new role, I shall not only continue to pursue those goals, but also look forward to working with Congress, my fellow Commissioners, and the FCC's outstanding staff." Starks said that every community "has a stake in the future of communications in this country, and all have the right to be heard. I will always be listening." Republican Brendan Carr, who already was sitting on the Commission after appointment to an unexpired term, recently was been reconfirmed for a new full 5-year term. Three of the FCC's five members are traditionally of the same political party as the President. CQ Magazine has announced that nominations for the CQ Contest Hall of Fame are being accepted until March 1. Individuals, clubs, and national organizations may submit nominations. Nominations should clearly indicate that they are for the Contest Hall of Fame and detail the reasons and basis for the nomination. Email submission is preferred, with a subject line of Contest Hall of Fame. Nominations may be mailed to CQ Contest Hall of Fame, c/o CQ Magazine, 17 W. John St., Hicksville, NY 11801. The CQ Contest Hall of Fame was established in 1986 to recognize Amateur Radio competitors who have made major contributions to contesting that go above and beyond the call of duty. A maximum of two contesters is inducted each year. Chile recently became the third country to sign the Amendment of the Inter-American Convention on the use of an International Amateur Radio Permit (IARP). Once the Amendment is in effect, Chile and other Inter-American Telecommunication Commission (CITEL) signatories may offer reciprocal Amateur Radio privileges to Amateur Radio licensees from European Conference of Postal and Telecommunications Administrations (CEPT) member-countries that have implemented CEPT Recommendation T/R 61-01 (CEPT Radio Amateur License). The Inter-American Convention says CEPT-country licensees "shall be entitled to the same rights and privileges enjoyed by holders of the IARP, provided, however, that CEPT accords all holders of the IARP the same rights and privileges enjoyed by holders of the CEPT Amateur Radio license. The Organization of American States (OAS) General Assembly approved the treaty last June; CITEL comes under the OAS umbrella. In addition to Chile, the Dominican Republic and Argentina have signed. IARPs are not valid for operation in the territory of the issuing country and are valid for 1 year. A Class-1 IARP allows the use of all frequency bands allocated to the Amateur and Amateur-Satellite Services and specified by the country where the amateur station is to be operated, per Recommendation ITU-R M.1544. A Class-2 IARP permits utilization of all frequency bands allocated to the Amateur and Amateur-Satellite Services above 30 MHz and specified by the country where the amateur station is to be operated. John Robert Stratton, N5AUS, of Austin, Texas, is the new ARRL West Gulf Division Director. Stratton, the incumbent Vice Director, moved up to the Director's chair after Director Dr. David Woolweaver, K5RAV, announced his immediate retirement during the ARRL Board of Directors meeting on January 18 - 19. An attorney, Stratton served as West Gulf Division Vice Director since 2009, when he was appointed to succeed Woolweaver, who became Director following the resignation of then-Director Coy Day, N5OK. Woolweaver served as West Gulf Vice Director from 2000 until 2009, and as Director from 2009 until 2019. During his tenure, he served on several committees, including the ARRL Board Executive Committee. He is a member of the ARRL Foundation Board of Directors. Stratton holds a bachelor of science in aerospace engineering from the University of Texas and is a graduate of the University of Texas Law School. 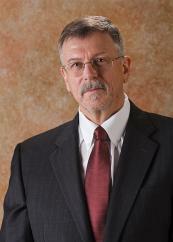 ARRL President Rick Roderick, K5UR, will fill the vacant West Gulf Division Vice Director's position by appointment. The third annual AM Rally is this weekend. The event, which aims to encourage the use of AM on 160, 80, 40, 20, 15, 10, and 6 meters gets under way at 0000 UTC on Saturday, February 2 (Friday, February 1, in US time zones) and continues until 0700 UTC on Monday, February 4. The AM Rally is open to any radio amateurs running full-carrier amplitude modulation using any type of radio equipment -- modern, vintage, tube, solid-state, software-defined, military, boat anchor, broadcast, homebrew, or commercial. Numerous transceivers in use today offer AM capability. A lot of hams enjoy restoring and using vintage Amateur Radio equipment. The event website has complete AM Rally details, contact information, award categories, logging, and tips on how to get the most out of your station equipment in AM mode. Contact Clark Burgard, N1BCG, for more information. The event is sponsored by Radio Engineering Associates (REA), in cooperation with ARRL, which supports all modes of Amateur Radio operation. W1AW will play a leading role in the event, as it has for the past 2 years. The 2019 HamSCI Workshop has issued a second call for papers and speakers. The event is set for March 22 - 23 at Case Western Reserve University (CWRU) in Cleveland, Ohio. Registration remains open. All interested individuals are welcome to attend the event, held in association with the CWRU Amateur Radio Club (W8EDU). HamSCI's Nathaniel Frissell, W2NAF, is especially interested in signing up additional speakers. "We are especially looking for speakers with presentations showing analysis of ionospheric observations, ideas and proposals for the design of the Personal Space Weather Station and instrumentation for the 2024 eclipse," Frissell said. "We will also accept other presentations related to Amateur Radio and science." Speakers already on the roster include ARRL Contributing Editor Ward Silver, N0AX; propagation expert Carl Luetzelschwab, K9LA, and MIT Haystack Observatory's Larisa Goncharenko. Email presentation abstracts to hamsci@hamsci.org by February 15. The story "FCC Reactivating Equipment Authorization System" in the January 24 edition of The ARRL Letter contained an inaccurate statement. It should have said, "RF devices, including Amateur Radio equipment that contains a scanning receiver, and Amateur Radio power amplifiers, must be properly authorized before being marketed or imported into the US." Tad Cook, K7RA, Seattle, reports: The past week saw increased solar activity, with average daily sunspot numbers rising from 5.3 to 19.6 and average daily solar flux from 69.8 to 74.5. We haven't seen such strong activity since the beginning of last summer, when we reported average daily sunspot number at 22.6 and average daily solar flux at 75.3. 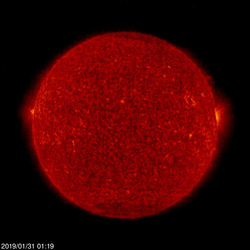 Predicted solar flux is 73 on January 31; 71 on February 1; 72 on February 2 - 7; 69 on February 8 - 12; 72 on February 13 - 27; 70 on February 28 - March 3; 69 on March 4 - 11, and 72 on March 12 - 16. Predicted planetary A index is 20, 18, 12, 10, and 8 on January 31 - February 4; 5 on February 5 - 18; then 12, 20, 12, and 8 on February 19 - 22; 5 on February 23 - 26; then 8, 18, 10, and 8 on February 27 - March 2, and 5 on March 3 - 16. In this week's bulletin, look for a report from Jon Jones, N0JK, in Kansas, concerning FT8 activity on 6 meters. Sunspot numbers for January 24 - 30 were 19, 27, 26, 22, 16, 15, and 12, with a mean of 19.6. The 10.7-centimeter flux was 73.5, 73.1, 75.8, 75.1, 76.6, 75, and 72.4, with a mean of 74.5. Estimated planetary A indices were 19, 13, 7, 5, 1, 2, and 2, with a mean of 7. Estimated mid-latitude A indices were 13, 10, 5, 3, 0, 0, and 0, with a mean of 4.4.